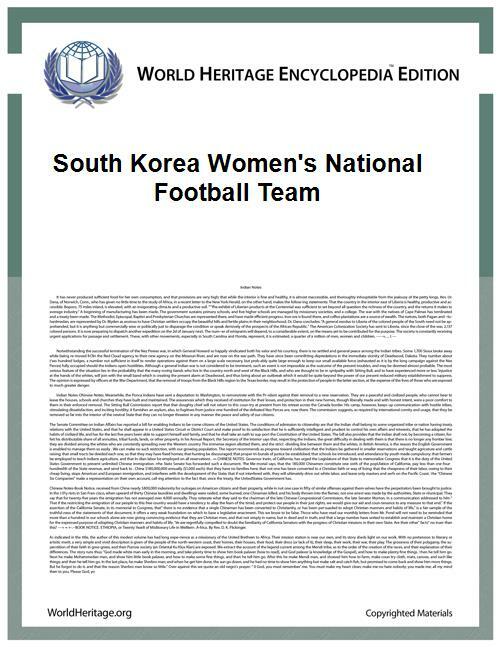 The South Korea women's national football team (Korean: 대한민국 여자 축구 국가대표팀; Daehanminguk Yeoja Chukgu Gukgadaepyo-Team, literally "Republic of Korea women's football national team") represents South Korea in international women's football competitions. The team is referred to as the "Korea Republic" by FIFA. Its first game was a match against Japan in 1990, which it lost 13–1. The squad was announced on Squad For Asian Cup. 10 4FW Ji So-Yun (1991-02-21)21 February 1991 (aged 23) 59 28 Chelsea L.F.C. * FIFA and AFC use Hong Kong and Macau; the EAFF uses Hong Kong, China and Macau, China.